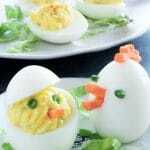 This Easter version of the Best Deviled Egg Recipe is a fun addition to your Easter Buffet Dinner Menu. The recipe is my mom’s tried and true classic deviled egg recipe. Trust me, you cant go wrong if you follow the instructions. How do you make the eggs for deviled eggs? Buy fresh eggs. 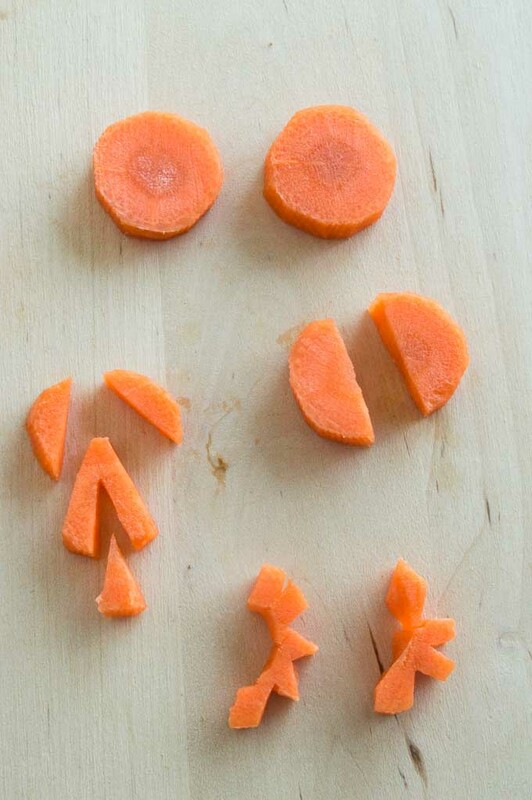 This will make them easier to peel. Place the eggs in a pan. Run water to just cover the eggs. Bring the water to a boil, let boil for 1 minute. Turn off heat, put lid on the pan and let sit for 12 minutes. Remove from the water bath, store until ready to use. This boiling method comes out perfectly every time. 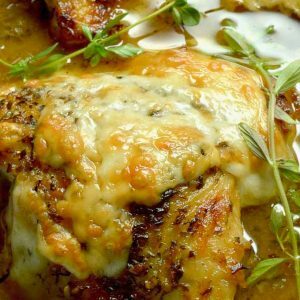 However, if you have an instant-pot and would like to cook them in there here is a recipe from Delicious Meets Healthy for how to make the eggs in an instant-pot. How long can you keep a hard boiled egg? Hard boiled eggs will last about a week in the fridge. I suggest peeling them after you remove them from the water bath so they are ready whenever you need them. Hard boiled eggs are a protein rich healthy snack that you can reach for at a moments notice. Can you freeze hard boiled eggs/ deviled eggs? Unfortunately no. The yolks would be ok, but the egg whites dry out and become an unpleasant color and texture. Make them in smaller batches so you only have about a weeks worth so you can finish them all. How do you peel the eggs for Easter Deviled Eggs? Then on a cutting board roll the egg crunching the shell on all sides. Start peeling from the largest end and you will see a slight membrane, if you start pulling on that it should start the easy peeling. Rinse with water and place on a towel to dry. Now comes the fun part. Making the noses, mohawk, beaks for the Easter Deviled Eggs! Cut that triangle in half. 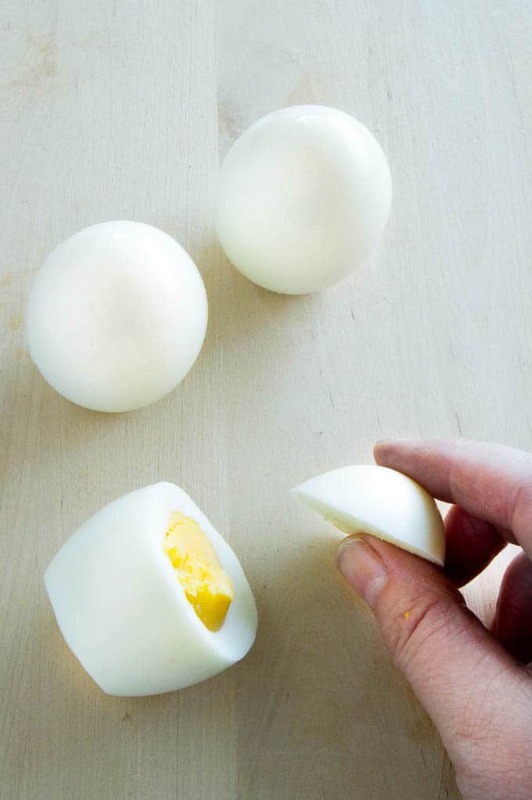 Cut the hard boiled egg at a diagonal about 1/2″ (make sure to cut the top of the egg. You will know because the egg bottom will actually sit up on its own. Make deviled egg yolks as directed in recipe. Using anything that can look like eyes (chives, tips of green beans) place two eyes onto the yolk mixture. 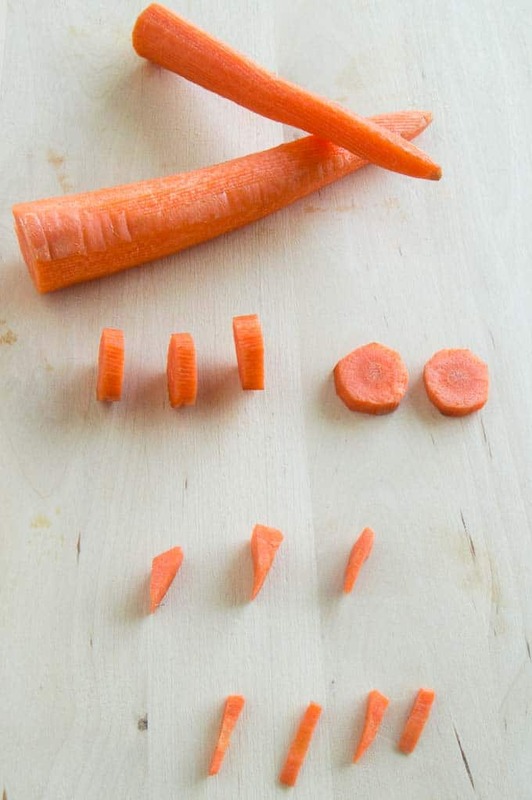 Place a carrot nose on the face. Tip the top towards the back highlighting the face of the chick. Now onto the rooster. To make the rooster you will need to make a beak and a little mohawk. Stand egg on the bottom. Using a whole egg, you will use a small knife to puncture where you will place the beak. This makes it easy to insert. Place mohawk on the top. I use a little yolk mixture to act as glue to hold it on. 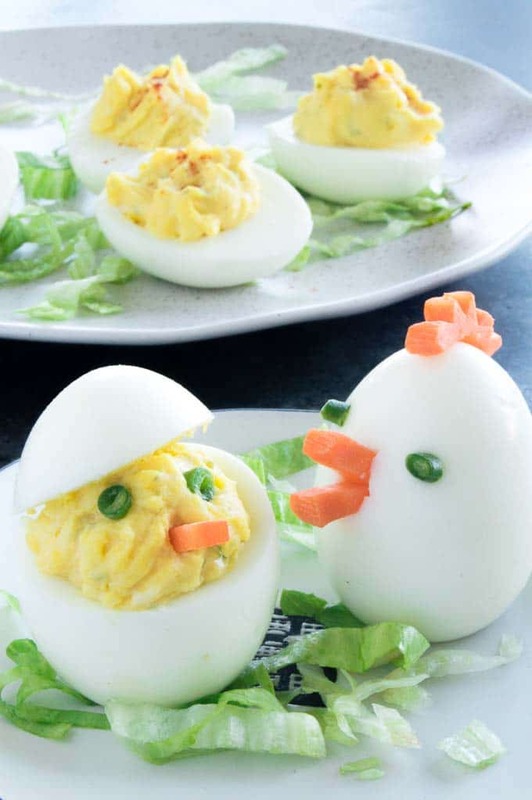 You can just make a couple chicks and roosters and place them among the regular halved deviled eggs on a platter. Sub anything that you have. I have used mangos as noses, sesame seeds as eyes, sweet potatoes as Mohawks. The only thing I have tried to use that didn’t work was peppercorns for eyes. They did look like eyes, but peppercorn dyed the egg outline black. It looked like the rooster had been punched! Not really pretty! Make a couple of extra eggs so you will have more yolks. I usually nibble on some leftover egg whites, or share with my puppy. This way the best part has more to go around! In the recipe I actually made homemeade mayo instead of store-bought. It works both ways, but its so easy to make and it tastes even better if you want to give it a try you can find the recipe here for Fresh, Homemade Mayo. 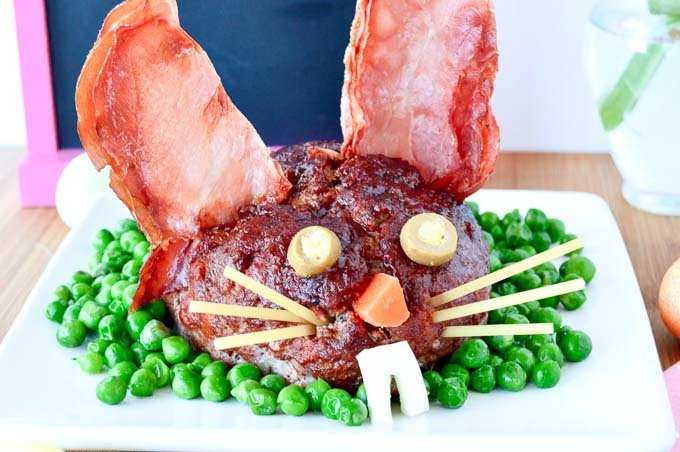 Easter Bunny Meatloaf ~ pictured below! 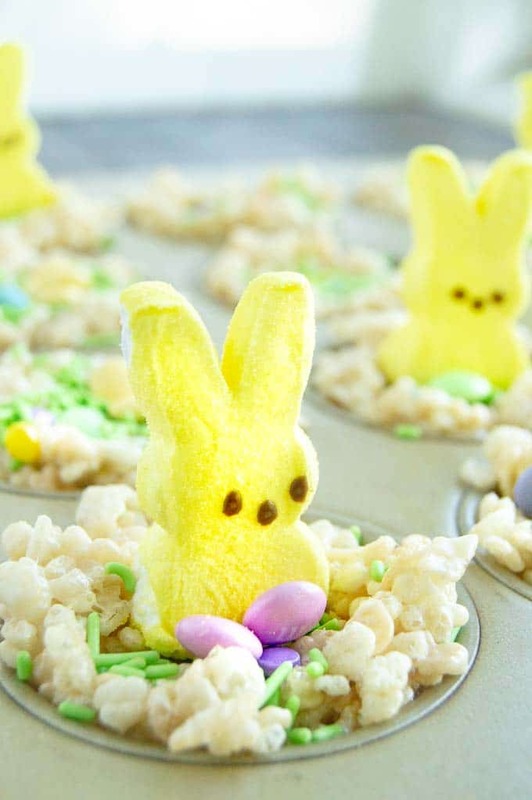 Peep Nests Krispie Treats~ pictured above!! Creamiest Scalloped Potatoes ~ my #1 searched recipe for Easter for 3 years! No Bake Cheesecake Bites ~ decorated like eggs! 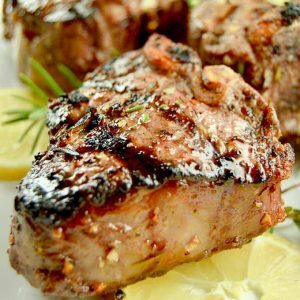 Stuffed Leg of Lamb ~ make Easter even more special with this easy recipe!! 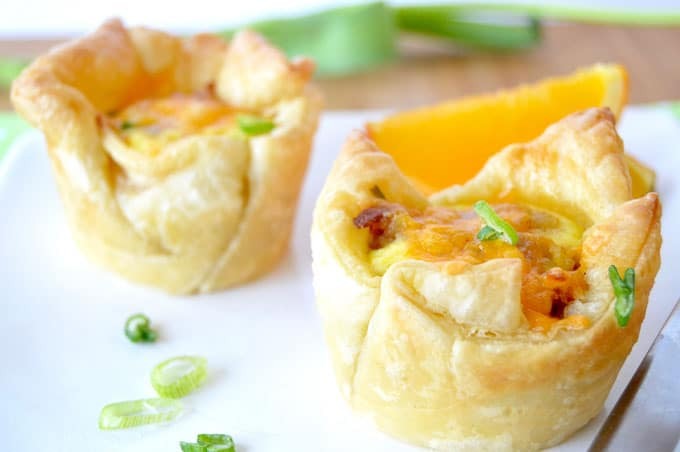 A simple & delicious way to serve a crowd pleaser for the Easter Holiday! 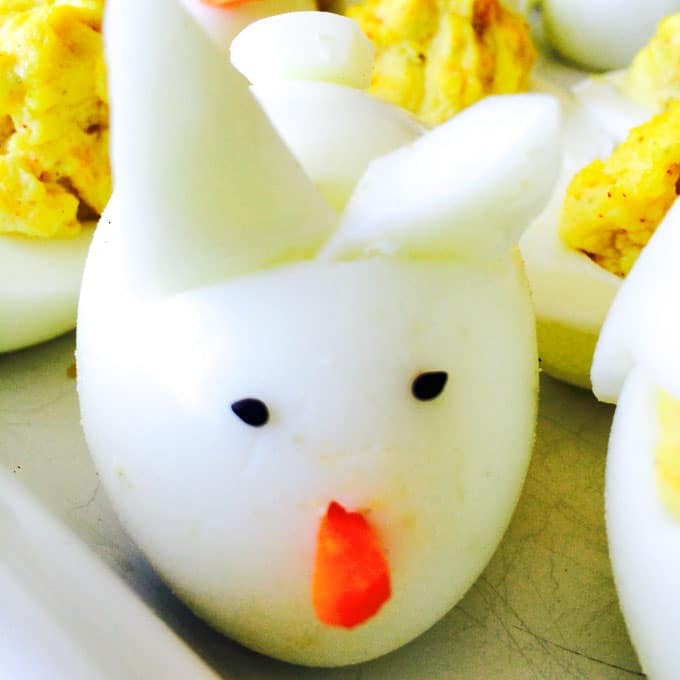 This recipe for Easter Bunny Deviled Eggs are tasty and adorable and will be loved by adults and kids alike. Put in enough water to just cover the eggs. Bring water to a boil at high temperature. Once water is at a rolling boil, let eggs boil for 1 full minute. Then place lid to pan and seal. Let boil for 30 seconds. Then turn off the heat. Do not open lid for 12 mins. At the end of 12 minutes, remove lid and drain water away. Place eggs in an bowl of ice and water. Allow to cool for 5 minutes. Drain water and dry. Peel eggs. Cut eggs in half, and remove the yolk portion of the eggs and place in separate bowl. Mash yolks with fork until nice and smooth. Add mustard, dry mustard, salt, pepper and mayo to yolks and mix evenly. If you want onions or pickles add them once all other ingredients are blended. Using a spoon, put about a tablespoon amount back into the egg whites pieces. Eggs keep for 2-3 days if kept in a covered container. The caloric info was calculated using the ingredients I purchased to make this using My Fitness Pal. If you are following a strict diet please consider your brands, products may differ than what was used to create this recipe and plan accordingly. These are cute! How creative! Michelle, these are great! This is how I do my eggs to, but I’ve been tempted to do them in the instant pot (I’ve heard great things about how easy they are to peel!). I’ll let you know if I try it! 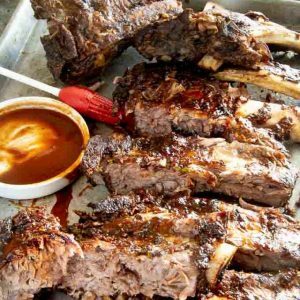 Ive heard so many good things about an instant pot…. I need to get on the band wagon and check it out! 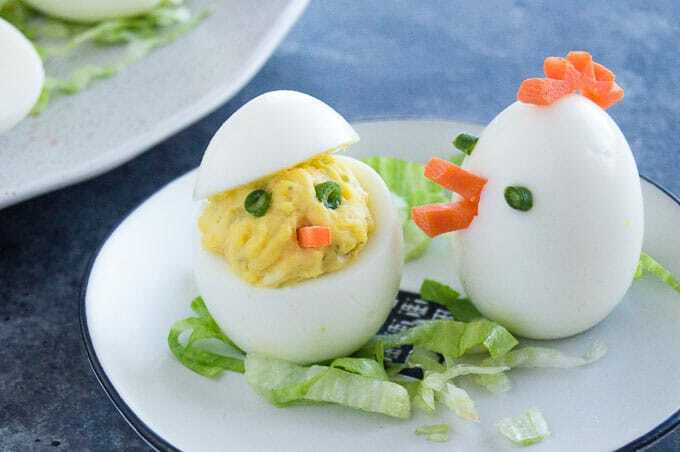 These eggs are so cute! Yum! 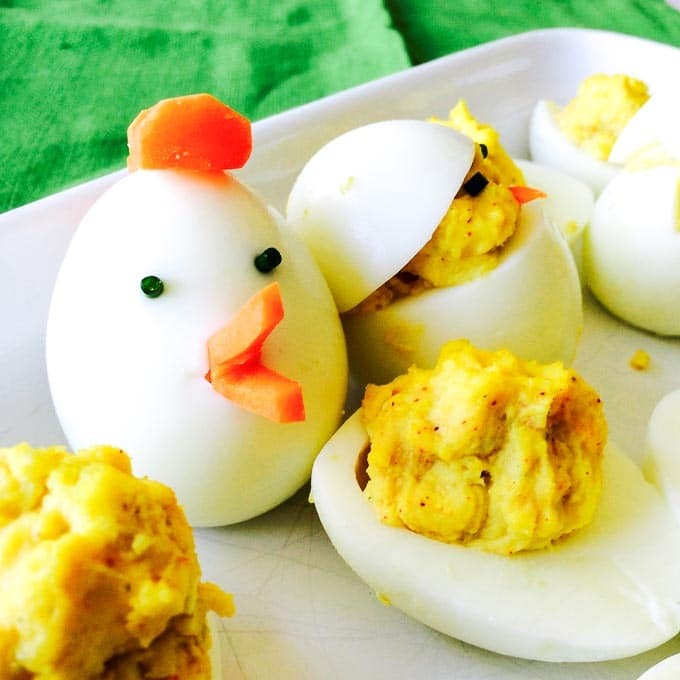 Oh, these look so fun and delicious for Easter! Can’t wait to try them! My brother would eat the whole plate of deviled eggs at Easter. Maybe if I made these they are so cute he would have mercy on them lol. 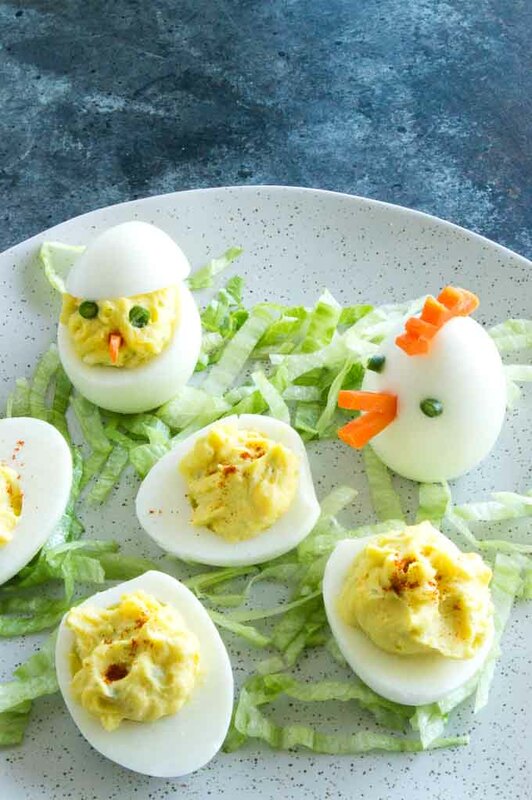 These deviled eggs are super cute. I absolutely love them! I can’t wait to share this recipe with my sister! These are SO adorable! Easter or not, they’d be a hit at my house. Oh my goodness, these are so cute, my kids would love them for Easter or anytime! Yum! 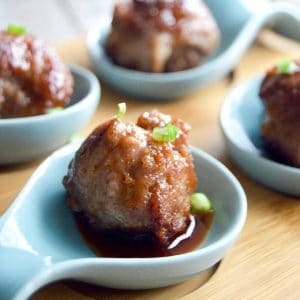 These look amazing and adorable! I love traditional deviled eggs. I cook my eggs EGGSACTLY (sorry, I couldn’t help myself) as you do. Works every single time. And how cute did you make them! I must try it.